Oh wow, talk about exceeding expectations! I had some mixed feelings about the Shadowhunters books, because I adored The Infernal Devices but was kind of disappointed with The Mortal Instruments. So when Lady Midnight came along I was rather hesitant to start it, but oh boy am I glad I did. It may be too soon to make any predictions, but I have high hopes that I will love this series just as much (or maybe even a bit more) than The Infernal Devices. I don’t even know where to start. Everything was just so very well done. The writing was great and has gotten so much more rich since City of Bones. The pacing was perfect: every single scene had purpose and there was no filler anywhere in all 668 pages. The plot was frickin’ awesome with the combination of mystery and action, romance and family dynamics, creepy monsters and crazy cults. The worldbuilding is pretty much already set up from the previous books, though Lady Midnight manages to expand the world even more as we learn more about Parabatai law, the world of Faeries and we are introduced to new elements such as the Scholomance and Centurions. 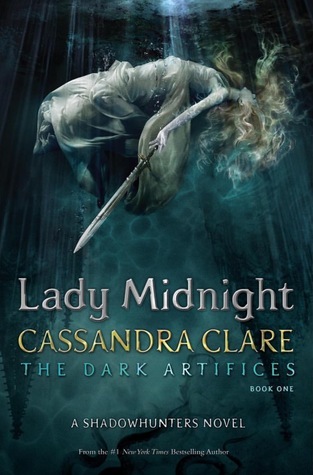 I never realized just how much I had missed this world until I read Lady Midnight! But the characters are really the icing on the cake. Emma and Julian quickly became some of my favourite main protagonists ever. Emma is fierce and determined, a true warrior. She’s sassy and funny and I loved her. And then there’s Julian. Forced to grow up quickly, he’s been taking care of his brothers and sisters since he was 12 and has been like a father to them since. He loves his family dearly and will do anything to keep them all safe and together. He is the most gentle soul but at the same time he will not hesitate to do bad things if it means it will protect his family. He’s such a complex character who has the weight of the world on his shoulder and I think he has become my favourite shadowhunter character ever. “‘Whither thou goest, I will go, whatever stupid thing you do, I will do also? '” Emma said. “Was that the vow? The relationships in this book are so amazing. I love the whole Blackthorn family dynamic so much, I could read whole books just watching this family as they grow up and face the world together. I mean, you’ve got to love a family whose motto is the rebellious ‘A bad law is no law’. I loved the friendship between Emma and Christina – it’s not often that you read about good female friendships but theirs really shone throughout the book. And of course, the romance in this book was PURE PERFECTION. Emma and Julian’s story tore my heart out, and I am so rooting for these two to figure it out. The tension, the devotion, the sacrifices these two make for each other just pulled at my hearstrings. And they are not even the only ship! I am so eager to find out what happens with all these lovely characters. Wild Mark. Faithful Christina. Precious Ty. Fierce Livvy. Sweet Dru. Little Tavvy. Intriguing Kieran. Perfect Diego. Mysterious Kit. And all the others. Just perfection. One thing I have always really appreciated about Cassandra Clare’s books is the diversity in her characters. I love how she integrates different races, different sexualities, even different ways of viewing the world in her story. Even the villains are multi-dimensional and understandable. Could you read this book without reading The Mortal Instruments and The Infernal Devices first? You definitely can, because all essentials are explained in the beginning. It’s a new story, with new characters. However, there are a lot of references to the previous books and characters so the reading experience will be more complete if you have read them. This story also takes place after the other series, which means there will be major spoilers. So if you’re still planning to read them, definitely read them first. Overall, I loved this book. It exceeded all my expectations. It was fast-paced, action-packed, mysterious and funny. I fell in love with the characters. The ending broke my heart in a thousand tiny little pieces and I can’t believe I have to wait another year to find out what happens next and what effect it will have on these precious characters. Don’t base your opinions on the shadowhunters series on the movie or the tv show. Seriously. Give these books a chance and I’m sure you will grow to love them too. Oh, I am so glad that you loved this book. This book would have to be my favourite read so far this year… probably my favourite read, ever. And I agree with you 100%, it is all due to the wonderful cast of characters that Clare has so perfectly created. I WANT TO BECOME A BLACKTHORN! The family dynamic is so beautiful, and I love the fact that they are such a loving family that also allow Emma, and even Christina, into their hearts. I have never read a book with such awesome, beautiful, perfect and well-developed characters. YES, I LOVE THE BLACKTHORNS! 🙂 They felt so real and just like you I wanted to be a Blackthorn so badly while reading this book!